August 4, 2011 Gary Thompson ... "Your Utah Realtor!" 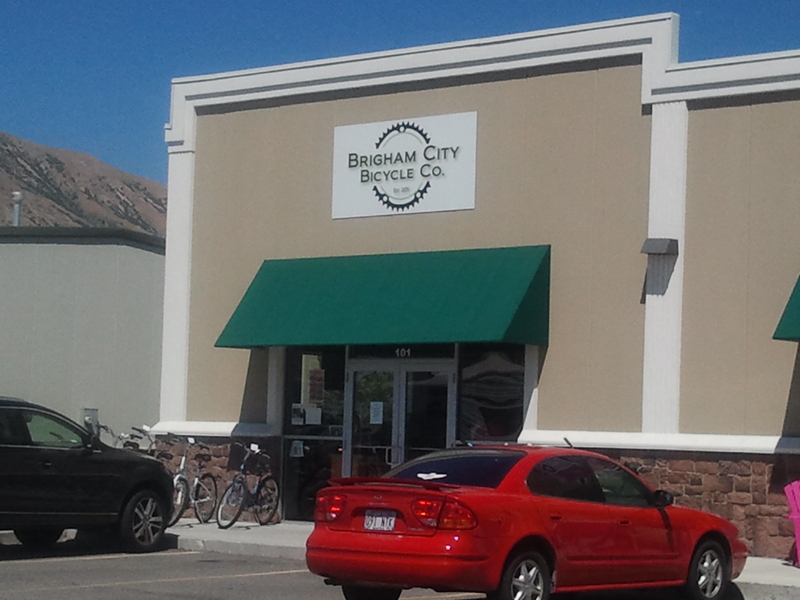 While out running some errands I noticed a new small business had opened its doors, Brigham City Bicycle Co, located in the strip mall on the south side of 1100 South, just east of Hansen Chevrolet. So I went in and looked around and was surprised to see that they had a good selection of both bikes and supplies. In fact I recently had purchased something I saw there at a shop in Logan for about $10 more so the prices are definitely not exorbitant. The young lady who was there manning the shop informed me that her brother was the owner and they were helping each other out as a family business. She was friendly, helpful and knew much about the brands they offered, Raleigh, and Diamondback. The selection was good and they no doubt need some support from the community. So if you by chance are in the market for a Bicycle, maybe instead of throwing your money at a big box store who really won’t notice anyway – maybe give the little guys a try. You’ll probably make a friend at the same time and give someone a little help in making their small business a success!